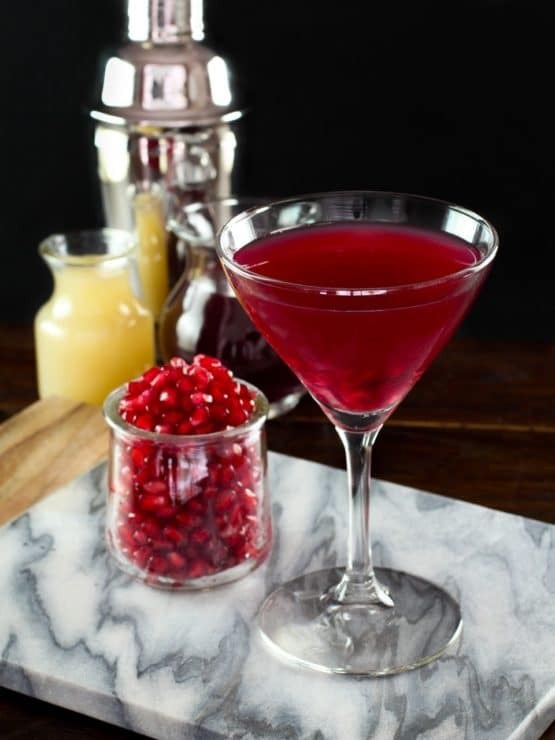 This pomegranate martini with citrus vodka and lime has become my signature cocktail. We serve it at family gatherings and to toast the holidays. It’s especially popular during Rosh Hashanah, when pomegranates are eaten to symbolize “new fruit,” celebrating the start of the harvest season. 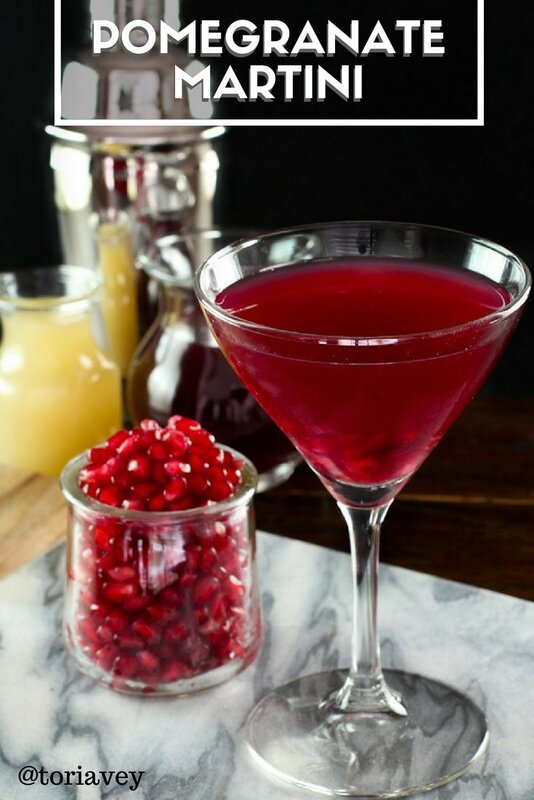 I used to make this Pomegranate Martini cocktail with sweetened lime juice. Lately I have transitioned to fresh lime juice for a more subtle, balanced sweetness. 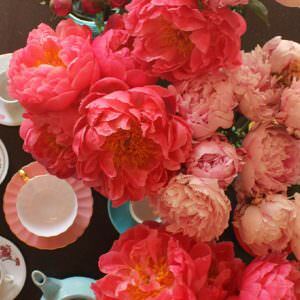 I have also added orange blossom water, which gives a lovely fragrance to the cocktail. Pomegranates are what I like to call my “spirit fruit.” This ancient fruit is mentioned several times throughout the Torah. Pomegranates are said to have decorated the pillars of Solomon’s Temple in Jerusalem. 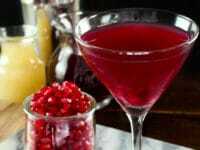 While they didn’t have pomegranate martinis back then, it is fun to imbibe with a nod to the past. Be careful with this one! You don’t taste the liquor much, it goes down easy. I have included a mocktail variation below for those who are avoiding alcohol, which is very tasty as well. L’chaim! Nutritional information below refers to the cocktail version of this recipe. 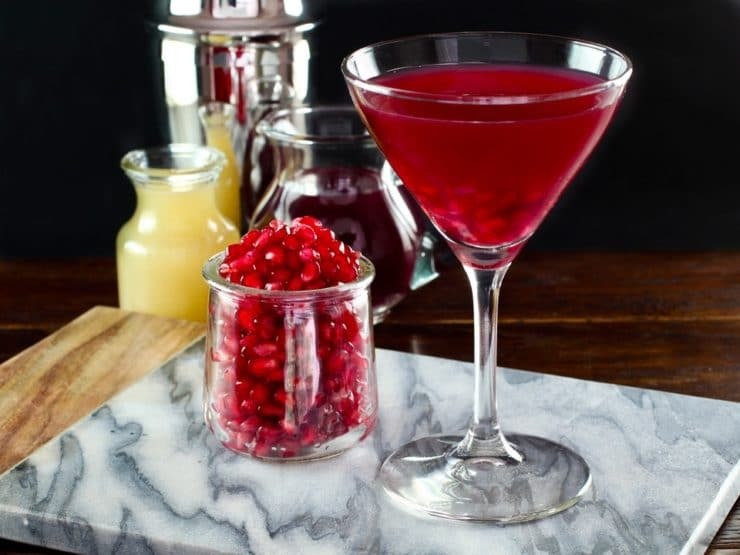 Place all ingredients except for pomegranate seeds into a cocktail shaker along with ice cubes. Cover shaker and shake vigorously for a few seconds until well chilled. 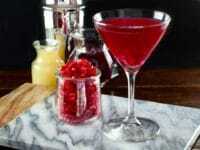 Scoop pomegranate seeds into the bottom of a martini glass. Strain cocktail into the martini glass and serve. Place all ingredients except for the sparkling water and pomegranate seeds into a cocktail shaker with the ice cubes. 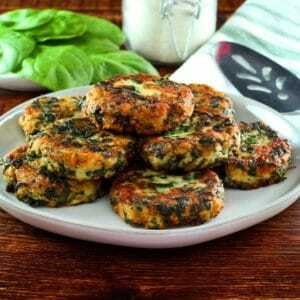 Cover shaker and shake vigorously for a few seconds until well chilled. 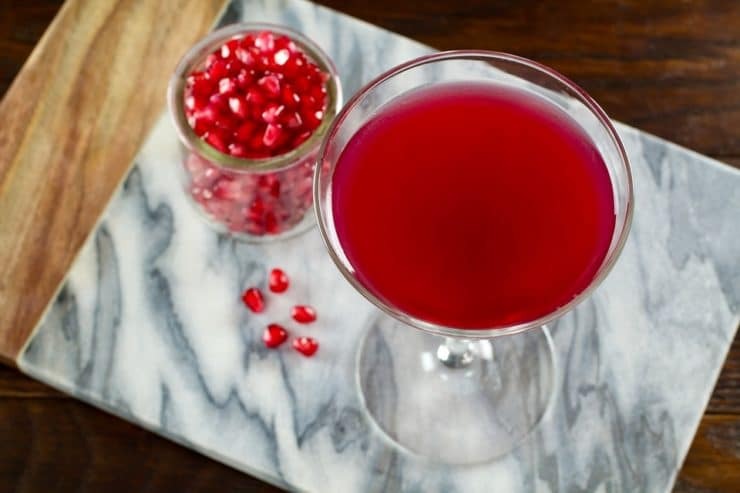 Scoop pomegranate seeds into the bottom of a martini glass. Strain mocktail into the martini glass. Top off the mocktail with orange sparkling water. Serve. So crisp and light, and that touch of lime juice takes it to another level. My new favorite drink! Had this for New Years, so good!